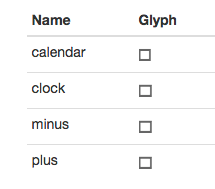 We're sorry to say that we introduced a minor glyph bug in build 403. In Chrome for macOS, 4 of the wijmo glyphs do not render correctly. 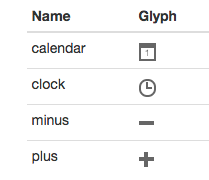 The broken glyphs are: calendar, clock, minus, plus. The bug is fixed in build 405 and after. We changed these glyphs to use Unicode characters that were not supported in Chrome for macOS. So we have to roll back that change. We realize the urgency of this issue and want you to be able to patch this yourself immediately. Here's the code needed to fix this bug. Place this code in a stylesheet or style block in your application. 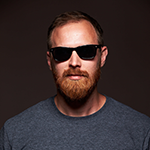 Make sure this is placed AFTER the wijmo.css file in your page. This code will override the bad glyphs in build 403. You will not need to use this fix for any other version than build 403. Again, we're sorry for any inconvenience this may cause.